I just create an invoice form. I choose the insert another record option on message and titles. The scenario is when the record were inserted the browse box of the invoice will refreshed so the record inserted can be shown. I try many ways but still don’t succeed. Hope there’s anyone can help. How are you inserting the new record? If you’re using the standard templates then the browse should update automatically. If you’re adding the record yourself eg using prop:sql then you’ll need to tell the browse it needs to update. Actually I use the standard template. So from the browse procedure I call the update procedure to insert, update or delete the record on the browse. 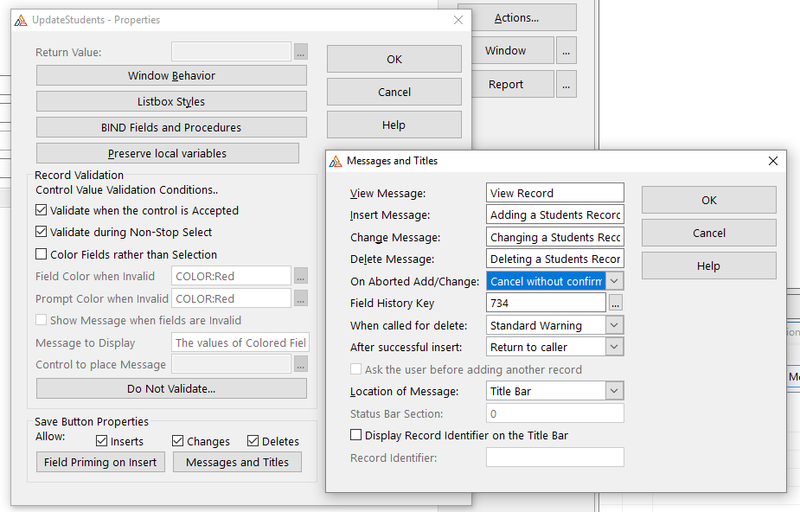 And I change the way of the entry form of saving the record by changing the option on message and titles of After successful insert into insert another record. So the entry process can continue without exit the form. the question is it possible the browse can be display automatically the record that has been saved without closing the entry form? I need to make a POS system so by those way the user can see the record that has been entry. Uncheck “Insert another record” from the form and add that code into following embed. Where should I put those embed? Ok…can you tell me your email address? Oh, what a pitty! I don’t have 6.3 no more. Could you give me AnyDesk ID? It was original school example. This attachment also has DCT file. What version of Clarion can open the app? can u downgrade the app into 6.3 or 9 so I can open the file? I Just Install Clarion Ver.10 12799 but still cannot opened. It tells that the app can only open with the ver 11. I sent screen captures. That would be better for you. If you have trouble, please give me Anydesk ID for remote connection. When will you available to remote?